It’s the new age and video is as big as everything else in the social media world. 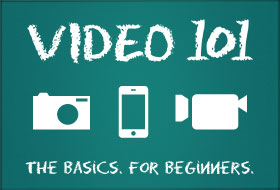 The problem can be where to start and how to use video as a social outlet. Posting videos on Facebook is always a must. Everyone who uses Facebook sees all the things you post. And what better way than through video? Next be active on Youtube. If you aren’t most people aren’t going to want to visit your account with only 3 or less videos. Another few are to join live streaming sites like UStream, using video functions on social aggregators and shooting your own blog. All these tactics are the perfect start for getting yourself known through video. For my own campaign I need to use some of these tactics more to gain popularity. Things like having more videos and the having a variety of videos would be good. Knowing what’s going on through the technology you have and the outlets you can use is the determining factor in getting my videos out. This entry was posted in Story Telling by Video. Bookmark the permalink. Social media wins the election? Social Media…what's the new tech all about? Fortune 100 Companies…Are They Doing It Right?